When I first started doing cosplay photography, I used a Nikon D3000. It was a cheap entry-level DSLR with decent specs and had features and built-in tutorials that helped me transition from Automatic shootings to Manual settings shooting. However, it was not up to par for indoor dark lighting and nighttime shooting. Also, it did not have great support for Speedlite flashes. After using it for two years, I decided to get an upgrade. At the time, there were two choices for me: the Nikon D90 and the Nikon D7000. After several recommendations and a test run thank to Rave2theJ Photography, I finally decided on the D7000. And I have been using it since. While photographers argue that Full-Frame Cameras are the best for low-light shooting and possess the best specs possible, the 16.2 MegaPixel from the D7000 is great for cosplay photos. Most of the time, you don’t need every single skin pore that you can get with a Full Frame camera. Plus, with the money you save, you can afford to buy better lens, which in are more important than the lens body. or for nighttime shoots. I’ve personally found that you can actually have good photos at ISO 6400 without too much image noise (graininess caused by the sensors being pushed to capture more light in low-light conditions). The 39-points of AF allows the photographer to better specify where the AF focuses. This is very handy for photos with different depth of fields, such as my popular “aim your gun at the camera” photos. This can also be handy when the photographer wants to use the live-view. I have large hands so when I first held the D7000, I noticed both an increased size and heft to it. I liked most of the button layout of the camera and having both the aperture and shutter speeds reachable with the flick of the thumb or index finger was great. Also, many of the features I need for Manual Setting like Shooting Mode (Single, Burst, Bulb), Mode Dial, and AF-modes are easy to reach than if I had to go through a series of screen menus. Those with smaller hands might be intimated by the size and weight, but after a while, anyone can use the camera proficiently. D7000 came with a dial like on the older iPods instead so that I can quickly cycle through the photos. Another nit-pick is that the ISO button, while better than a menu, is in an odd position in my opinion, making it hard to quickly change ISO settings when you are looking through the viewfinder. Certain older lens can be utilized as a make-shift AF lens. Check your manual and online to see which older lens can be AF. It’s a fairly large screen, but it’s not precise enough to really check to make sure your subject is in focus. For now, nothing really beats a laptop screen for in the field checking. 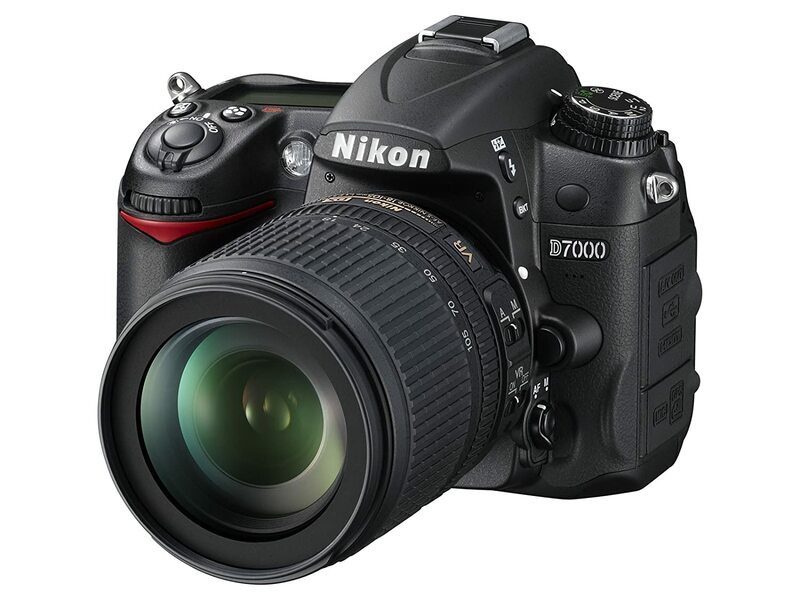 Just by going on the camera body alone, the Nikon D7000 is the best bang for your buck convention camera. While it is not cheap at around $1000, it does cover many of the bases for cosplay photographers who want a better camera that isn’t a Full Frame (since those are expensive). Also, with the release of the D7100, the price of the camera body should be dropping as well. I love my D7000 and it’ll be a while before I decide to retire it. ~ by BlizzardTerrak on April 12, 2013.